Webb’s have announced another auction of Important and Vintage Motorcycles. 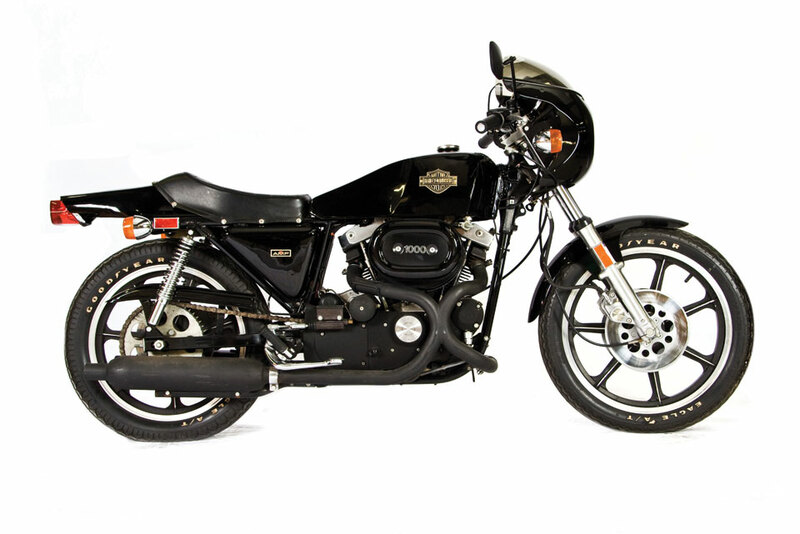 One of the bikes included in the auction is this beautiful Harley XLCR, America’s first attempt at a Cafe Racer. We take our hat off to Willie G. Davidson, the grandson of Mr Davidson who had the balls to start manufacturing this bike which was so different to what Harley was making at the time. We have to agree with Webb’s when they say ‘The all-black steel tank and fiberglass tail piece coupled with the unique black Siamese exhausts made the XLCR arguably the most attractive bike of its era’. With only a few thousand of these made over a 3 year period this XLCR should go for a handsome price. The auction is being held on November 25 at Deus in Auckland but overseas phone bidders are welcome. Hit the link to view the whole Webb’s bike catalogue.